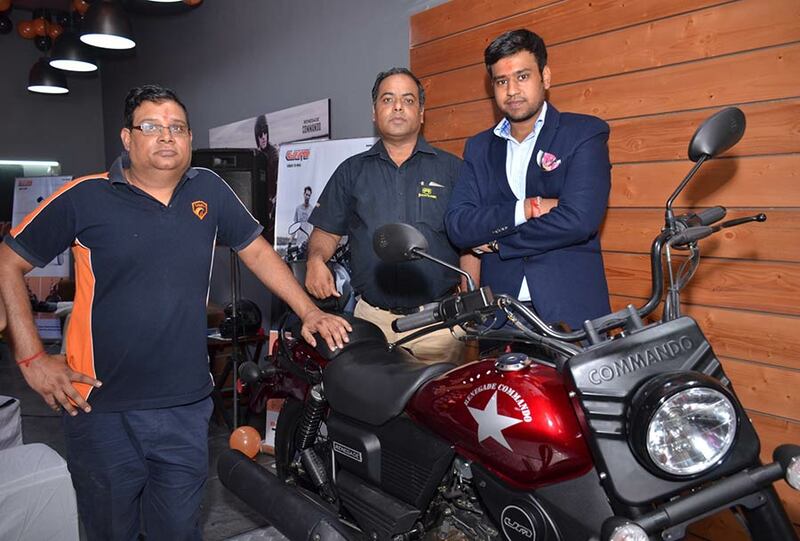 UM Motorcycles – the Indian arm of the American motorcycle maker, UM International, LLC along with Lohia Auto has opened its third dealership in India in Gurugram. To be called Bhagwati Motors, the new dealership is situated at Sohna Road, near Vatika Chowk in Badshahpur-Gurugram. Spread over an area of 3200 sq ft, the dealership facility has a showroom integrated with an after-sales service facility to ensure that the customers receive best-in-class pre and post sales ownership experience. I am delighted to announce the opening of the third dealership of UM Motorcycles in India. This is an important milestone for us in our extensive dealership network rollout programme which is currently underway at UM Motorcycles, India. Gurugram has firmly established itself as the business and commercial centre of Delhi’s National Capital Region (NCR) and offers potent opportunities for premium bike makers like us. The new UM Motorcycle dealership will provide the prospective customers of UM Motorcycles a venue to know our products up close and personal. We also take pride in offering the Renegade Commando and Renegade Sport S today for test drive. Both these iconic cruisers from the UM Stable have won the hearts of bike lovers the world over and are now ready to conquer the biking landscape in India. The Renegade Commando is a low-slung cruiser powered by a 279 cc single-cylinder water-cooled engine developing 25 bhp at 8,500 rpm and 21.8 Nm of torque at 7,000 rpm, mated to a six-speed transmission. The motorcycle comes with wide handlebars and hydraulic telescopic front suspension and spring rear suspension, which is ideal for a cruiser-segment motorcycle. The Renegade Commando will be available at INR 1.59 lakhs across all showrooms in India (ex-showroom New Delhi). The Renegade Sport S model will also share the same engine as the Renegade Commando. The Renegade Sport S was much appreciated when it was showcased at the 2015 EICMA in Milan. The Renegade Commando and its sibling Renegade Sport S come with an electric start and have an air filter with paper element innovation. Six-speed synchronized mesh has been added for easy cruising. The front wheel has telescopic suspension while the rear wheel has dual shock absorbers. These motorcycles have a fuel tank of 18 litres with a kerb weight of 172 kg. The Renegade Sport S is available at INR 1.49 lakhs across India (ex-showroom New Delhi). UM International in alliance with the UP-based Lohia Auto has invested Rs 250 crore for business expansion. Manufacturing is already underway at the Lohia Auto’s Kashipur facility in Uttarakhand which will also support the Government’s ‘Make in India’ initiative. Headquartered out of New Delhi in India, the company has started appointing dealers across India. This distribution network will continue to expand taking in tier 2 and tier 3 cities and towns going forward. Bookings for the Renegade series have opened at the Auto Expo 2016.